The origin of the Canadian Aeronautics and Space Institute dates back to 1954, when the Montreal-based Institute of Aircraft Technicians, the Ottawa Aeronautical Society and the Canadian sections of the U.S. Institute of Aeronautical Sciences amalgamated to form the Canadian Aeronautical Institute (CAI). 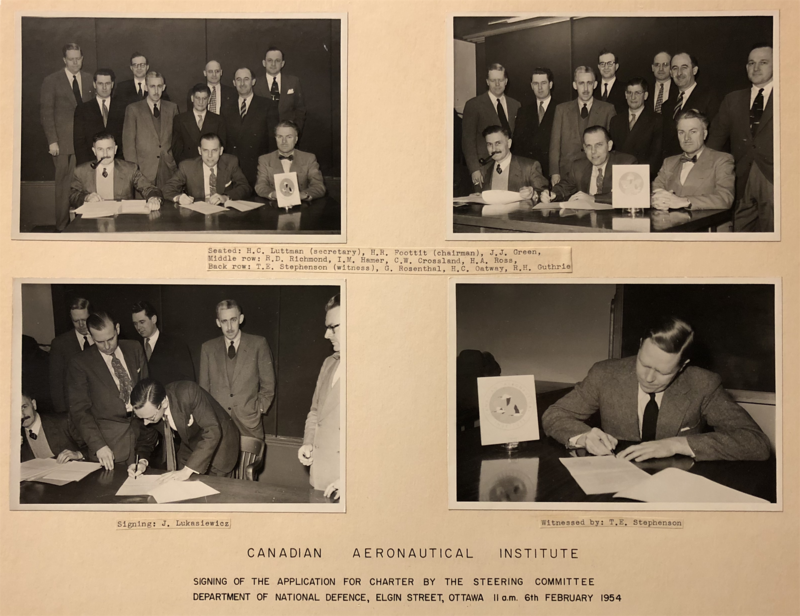 In 1962 the Canadian Astronautical Society in Toronto and the Montreal-based Astronautical Society of Canada merged with the CAI to become the Canadian Aeronautics and Space Institute (CASI). CASI is a not-for-profit scientific and technical organisation devoted to the advancement of the art, science engineering and applications relating to aeronautics, astronautics, and associated technologies and their applications. The Institute consists of Branches across Canada and specialist Sections that cater to specific areas. The Institute is governed by a Council. Each Branch elects one of its members to serve on the Council. Specialist Sections are represented on the Council by their Chairs. The Council itself elects, as Councillors, a predetermined number of senior members from the membership at large. The Councillors elect a President from among themselves. The structure of the Institute provides for Branches to serve members in their home communities and Sections to serve members specializing in fields directly related to aeronautics and astronautics regardless of their location. The Sections are: Aerodynamics, Aircraft Design and Development, Astronautics, Human Factors, Propulsion and Structures and Materials. Each Branch and Section is governed by an Executive committee, elected by its members. To those who can participate in its activities, the Institute, through its Branches and Sections, committees, conferences and other events offers opportunities for formal and informal association with people having similar interests. Each member learns through activities with others and make his/her own contribution to the common pool of knowledge and experience. Membership in CASI confers status in the professions of aeronautics, space and related technologies and their associated technologies and applications, both nationally and internationally. The Institute works closely with its Corporate Partners, organizations with an interest in the goals and mission of CASI and a willingness to provide financial assistance. Corporate Partners enjoy a variety of benefits and privileges including recognition in the scientific journals and other publications produced by the Institute and an elevated profile at all conferences and other symposia hosted by CASI. The spirit and design of the original CAI logo from 1954 (pictured and signed by the Founding Members listed below), continues to represent present-day CASI. The three Canada Geese represent the amalgamation of the three original groups; Institute of Aircraft Technicians, The Ottawa Aeronautical Society, and the Canadian sections of the U.S. Institute of Aeronautical Sciences. You may have noticed it sitting on the table in the images in the previous section.